The mission of the URISA Emerging Professionals is to provide the emerging professional community with the resources to develop and maintain outstanding careers. Chief among these resources is interaction with industry leaders through mentorship, internship opportunities, and workshops. In addition, the group strives to share its knowledge of developing GIS technology and techniques with the broad geospatial community, industry professionals, and the public. 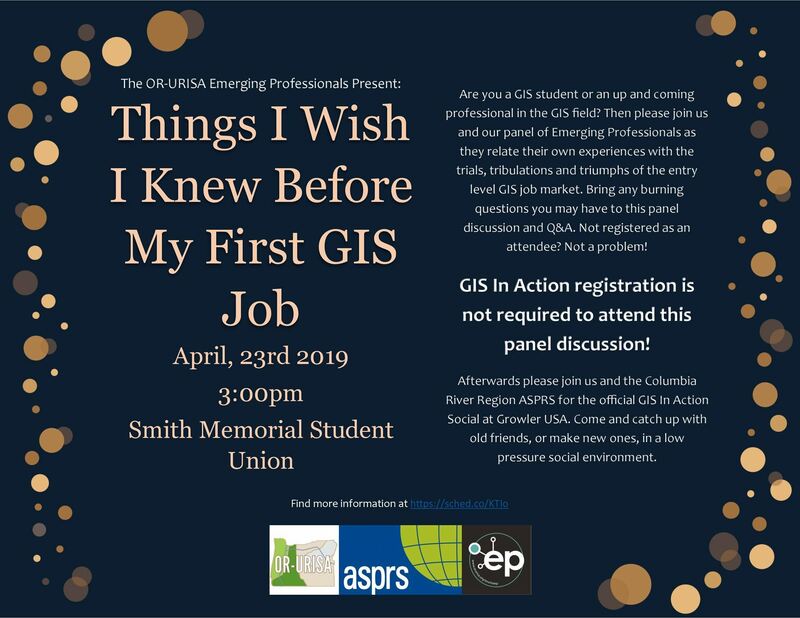 Please join ORURISA Emerging Professionals for a panel discussion on working entry level jobs in the GIS community. Bring any burning questions you may have for our panelists and gain insights from their varied and hard-earned experiences. Not registered for GIS In Action? Not a problem! Attendance for this panel discussion is open and free for all. We look forward to seeing you there! For more information on this panel visit https://sched.co/KTIo.